Shared decision making (SDM) occurs when patients and clinicians work together to reach care decisions that are both medically sound and responsive to patients’ preferences and values. SDM is an important tenet of patient-centered care that can improve patient outcomes. Patients with multiple minority identities, such as sexual orientation and race/ethnicity, are at particular risk for poor SDM. Among these dual-minority patients, added challenges to clear and open communication include cultural barriers, distrust, and a health care provider’s lack of awareness of the patient’s minority sexual orientation or gender identity. However, organizational factors like a culture of inclusion and private space throughout the visit can improve SDM with lesbian, gay, bisexual, and transgender (“LGBT”) racial/ethnic minority patients who have faced stigma and discrimination. Most models of shared decision making focus on the patient–provider interaction, but the health care organization’s context is also critical. Context—an organization’s structure and operations—can strongly influence the ability and willingness of patients and clinicians to engage in shared decision making. SDM is most likely to be optimal if organizations transform their contexts and patients and providers improve their communication. Thus, we propose a conceptual model that suggests ways in which organizations can shape their contextual structure and operations to support SDM. The model contains six drivers: workflows, health information technology, organizational structure and culture, resources and clinic environment, training and education, and incentives and disincentives. These drivers work through four mechanisms to impact care: continuity and coordination, the ease of SDM, knowledge and skills, and attitudes and beliefs. These mechanisms can activate clinicians and patients to engage in high-quality SDM. We provide examples of how specific contextual changes could make SDM more effective for LGBT racial/ethnic minority populations, focusing especially on transformations that would establish a safe environment, build trust, and decrease stigma. Unfortunately, disparities in the provision and quality of SDM exist for racial and ethnic minority groups and lesbian, gay, bisexual, and transgender (LGBT) populations.9, 10, 11, 12 Racial and ethnic minority populations that are also LGBT are at especially high risk for poor SDM.13,14 Clinicians often lack the training to encourage disclosure of sexual orientation,15, 16, 17 resulting in inadequate communication and SDM.18 Moreover, generic patient engagement approaches geared toward predominantly white LGBT populations may not be appropriate for patients with multiple minority identities.15 While many combinations of minority identities are possible, this paper uses the term “dual-minority” to refer to racial/ethnic minority LGBT patients. Therefore, we outline a conceptual model (Fig. 1) for how organizations can shape their contextual structure and operations to support SDM. Six drivers act through four mechanisms to improve clinician and patient/family activation and ultimately shared decision making. The six organizational drivers are workflows and procedures, health information technology, organizational structure and culture, clinic resources and physical environment, training and education, and the incentives and disincentives attached to SDM (Table 1). Conceptual model of organizational context and shared decision making. SDM = shared decision making. The technology and capacity to exchange information and track workflows that support SDM. An organization’s willingness to prioritize SDM and ability to recognize and respond appropriately to patients’ background and social context. The patient-centered physical space, materials, and language interpretation services necessary for SDM. The methods chosen to help clinicians increase their familiarity with and skill in topics that support SDM, including with diverse populations. Financial and non-financial support for doing SDM. Coordination across team members, visits, and organizations. Required because decisions are rarely confined to a single visit. Clinicians and patients are more likely to initiate and be motivated to do SDM when it is integrated into expectations, culture, and day-to-day processes as a part of usual care. Specific knowledge and skill including communication, SDM methods, cultural competence, and insight into factors affecting care. Applies to both clinicians and patients. Each driver impacts SDM through at least two of the following four mechanisms: continuity and coordination, ease of SDM, knowledge and skills, and attitudes and beliefs (Fig. 1). Coordination across team members, visits, and organizations is required because decisions are rarely confined to a single visit. Clinicians and patients are more likely to initiate and be motivated to do SDM when it is easier to do, such as when SDM is integrated into expectations, culture, and day-to-day processes as a part of usual care. Specific knowledge and skills of both clinicians and patients facilitate SDM, including empathic, open-ended communication techniques, SDM methods, cultural competence, and insight into factors affecting care. Key attitudes and beliefs are necessary for effective SDM. Clinicians and patients must see value in SDM and expect that it will work. Trust and an equal power dynamic are necessary for open communication.8 Table 1 describes specific components of each of the four mechanisms in more detail. We describe each driver’s impact on SDM. We also provide examples (Table 2) of how health care provider organizations can operationalize the model to improve SDM specifically for LGBT racial and ethnic minority patients. ○ Acknowledge that, historically, many racial/ethnic minority LGBT persons have felt excluded from the majority LGBT community; some have experienced outright discrimination.14,53 This may influence expectations of discrimination in the healthcare setting. Clear workflows can help overcome provider inertia to engaging in SDM56 and allow organizations to build SDM into usual care, thus making SDM easier. Clear workflows can also facilitate coordination of SDM within care teams and across visits. Workflows pertinent to SDM include patient flow through the clinic and care team, as well as population health management. Proper workflows to ensure coordinated communication and avoid confusion are necessary to support high-quality SDM. Population health management strategies can facilitate SDM. For example, one component of population health management is patient empanelment, which allows patients and clinicians to build consistent relationships and the trust necessary for SDM. Another component of population health management is identifying patients at high risk for poor outcomes or who may be eligible for certain treatments. Clinics could stratify clinical data by sexual orientation or gender identity (when electronic health records permit; driver 2) to identify opportunities to engage minority patients in tailored shared decision making around issues for which they, as a group, may be at greater risk (Table 2). Health information technology (HIT) facilitates information sharing, leading to knowledge, insight, and coordination between patients and clinicians. HIT can also make SDM easier when tools to support SDM are integrated into the electronic health record. Common applications of electronic health records (EHR) that can support shared decision making are patient portals and shared visit notes for patients,66,67 and clinical decision supports for providers.68 EHR registries can also support population management (driver 1). Decision aids are often, but not always, delivered via HIT and will be discussed later (driver 4). Patients’ access to technology such as computers or the internet is an important component of the HIT driver. Some patients may have concerns about trust and privacy that could be worsened by real or perceived stigma in visit notes.71,74,81 For example, in a Veterans Affairs shared notes study, some patients took issue with the way their clinicians described them.71 Clinicians can help mitigate concerns by purposely writing and speaking with cultural sensitivity; this includes asking racial/ethnic minority LGBT patients which terms they prefer to describe their identities (Table 2). Organizations must also build trust through other means in the patient-provider interaction and the clinic environment (drivers 3 and 4). Clinical decision supports (CDS), or automated reminders embedded in EHRs, could make SDM logistically easier by providing timely information that facilitates risk assessment, improves patient education, and improves referral decisions.82 Existing CDS for SDM tend to focus on a single condition.83, 84, 85 As organizations institute SDM as “usual care” for multiple conditions, this could become overwhelming and lead clinicians to ignore CDS due to “alert fatigue.”86, 87, 88 More research is needed about how to improve SDM with CDS most effectively. Common organizational barriers to SDM include logistics, cost, and lack of buy-in from providers and staff.25,50,59,62,89,90 Leadership and staff commitment can remove such barriers to SDM. Staffing diversity and relationships with the community can help organizations coordinate SDM and build attitudes and a culture that support SDM. Commitment from leadership and staff are crucial for SDM. Leadership identifies priorities and allocates resources. Staff supply daily operations and interact directly with patients. Organizations can encourage commitment by dedicating resources to incentivize SDM (driver 6),90 providing evidence that SDM is effective,50 and providing time and compensation for training (driver 5).62 Committed leadership and staff can help integrate SDM into usual care and encourage patients and clinicians to expect SDM as part of quality care. For example, organizations should include a commitment to diversity and culturally appropriate SDM91 in mission statements and policies (Table 2). Resources necessary for SDM include a physical environment conducive to decision-making, tailored educational materials and decision aids, and language and interpretation services. These resources help patients understand their care options and enable clinicians to gain insight into patients’ risk/benefit appraisals to individualize SDM. Resources primarily increase knowledge for patients and clinicians, while a well-designed clinic environment makes SDM easier. Tailored educational materials support patient satisfaction, understanding, and adherence to treatment.42,43 For most minority patients, cultural tailoring goes beyond language107 and literacy;108 for example, LGBT-specific educational materials can help LGBT patients discuss their options and preferences with clinicians.33,39 Materials should acknowledge the intersection of minority identities by depicting and incorporating multiple facets of diversity (e.g., sexual orientation, race, ethnicity, age, gender). Limited English Proficient (LEP) patients often struggle to communicate with clinicians and understand diagnosis and treatment options.109 Having language-concordant clinicians with training in medical interpretation is ideal,110 but organizations should at least offer access to certified medical interpreters to facilitate SDM.43 A lack of professional medical interpretation services leads to errors in diagnosis and treatment, decreases patient satisfaction and continuity of care, and increases distrust.109, 110, 111 Organizations should also avoid using patients’ family members as interpreters, which can compromise patient privacy, introduce interpretation errors, and possibly harm family relationships.43 This could be particularly problematic for LGBT patients who have not disclosed their sexual orientation or gender identity to family members and need additional privacy for successful SDM. Training programs impact skills, knowledge, and attitudes and should address both general SDM and cultural competence. SDM training programs for clinicians and inter-professional care teams exist,59,112,113 but few address SDM for minority populations.114 No training programs in a recent literature review address racial/ethnic minority LGBT patients.51 Health care organizations can provide specific SDM training for both clinicians and patients to enhance their knowledge and skills in SDM,50,51,114, and encourage them to value and prioritize SDM. Provider and payer organizations can provide financial and non-financial incentives to support SDM and remove financial disincentives that hinder effective SDM. The correct balance of incentives encourages motivation around SDM and makes SDM easier and sustainable as a part of usual care. Direct financial incentives to support SDM are currently uncommon,121,122 but interest in providing these incentives is growing as patient-centered care becomes a standard component of high-quality care. For example, some payers have experimented with incentives for SDM in demonstration projects,8 and the Center for Medicare and Medicaid Innovation has funded SDM as part of its advanced primary care initiatives and included multiple SDM projects in their health care innovation award portfolio.123 In addition to incentivizing the absolute quality of SDM, incentives could explicitly aim to reduce disparities in SDM quality. The business case for financially rewarding SDM is based on health benefits to patients and savings for the larger health care system.124, 125, 126, 127 The current volume-based, fee-for-service system is often cited as a barrier to SDM implementation for individual providers,128 and low-resource organizations, often those serving predominantly minority populations, may be affected most acutely. Negotiations with payers to allow reimbursement for SDM activities could ease challenges of time, scheduling, and staffing (driver 1) and provide the capital to procure space and technology to support SDM (drivers 2 and 4). In this way, incentives can make SDM easier to incorporate into usual care. The best incentives and measures are not known yet;121 some incentives are based on patient experience and communication, and others focus on the use of decision aids. However, several measures approved by the National Quality Forum represent growing consensus and are integrated into the widely-used Consumer Assessment of Healthcare Providers and Systems Clinician & Group Survey (CG-CAHPS) survey.129 Further consensus and distribution of measures can guide organizations in incentivizing high-quality, equitable SDM. 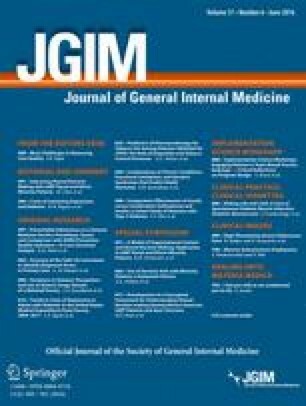 Non-financial incentives, such as public reporting of patients’ perceptions of the quality of SDM, target clinicians’ professionalism and reputation among peers and patients. Clinicians want to excel and be perceived as competent providers. Clinicians and health care organizations that receive high publicly-reported ratings of the quality of their SDM may be able to attract more business. Non-financial incentives could include creating awards to acknowledge excellent efforts to advance diversity and reduce disparities in the receipt and quality of SDM for racial/ethnic minority LGBT patients (Table 2). The organizational context in which SDM occurs represents a remarkable opportunity to improve patient experience and the quality of care. The structure and operations of a health care organization greatly influence whether time, trust, and resources are available to support SDM between patients and clinicians. While most efforts and research to improve SDM have focused on direct patient–provider communication, improving the context of care in which this interaction occurs has the potential to be transformational and increase the sustainability of SDM. Populations at highest risk for poor SDM, such as racial/ethnic minority LGBT patients, might particularly benefit from changes in organizational context that establish a safe environment, increase trust, and decrease stigma—all critical for becoming a culturally competent organization. Our model of the organizational context for SDM has limitations. First, the model’s presentation is more linear than reality. While we show the flow of SDM in only one direction for visual simplicity, SDM tends to be a cycle of multiple decisions over time,20 particularly in chronic disease management. Second, some drivers may fit into multiple categories or influence each other in both directions. For example, a single intervention to implement team-based care would likely impact most of the drivers in this model, not just workflows or organizational structure. Additionally, this model has not been empirically tested and validated in racial/ethnic minority LGBT populations. However, it has been informed by an ongoing project focused on this population. Despite limitations, this model describes useful ways in which provider organizations can improve shared decision making for minority populations. Further research is needed on how changing organizational context can improve SDM for different patient populations in different settings. SDM processes and tools are generally not designed with minority patients in mind even though they may face additional barriers to SDM, such as mistrust. Organizations should monitor and tailor SDM approaches as necessary. Organizations should also take a broad view of “minority” status when they consider their approaches to SDM. Familiarity and competence with one minority population does not guarantee competence with issues of intersection between race/ethnicity, sexual orientation, gender, religion, or any other patient identity,130 yet these intersections make up the whole of patient preference and engagement in SDM.13 Patient input can help reduce the risk of overgeneralization. The United States’ population is becomingly increasingly diverse. To improve patient experience and outcomes most effectively, we must improve the organizational context in which SDM occurs. This project was supported by the Agency for Healthcare Research and Quality (1U18 HS023050) and the Robert Wood Johnson Foundation Finding Answers: Disparities Research for Change Program. Dr. Chin was also supported by a National Institute of Diabetes and Digestive and Kidney Diseases Midcareer Investigator Award in Patient-Oriented Research (K24 DK071933) and the Chicago Center for Diabetes Translation Research (P30 DK092949). Some of paper’s content was presented as a workshop at the Society of General Internal Medicine Annual Meeting in Toronto, Canada, 23 April 2015. Aligning Forces for Quality. Primer/Brief: Forces Driving Implementation of the CAHPS Clinician & Group Survey. May 2013. Available at: http://forces4quality.org/af4q/download-document/5809/Resource-forces_driving_implementation_of_the_cahps_clinician_and_group_survey.pdf. Accessed December 3, 2015. Primer/Brief: Shared Decision-Making and Benefit Design: Engaging Employees and Reducing Costs for Preference-Sensitive Conditions. Robert Wood Johnson Foundation and American Institutes for Research. April 2013. Available at: http://www.rwjf.org/content/dam/farm/reports/reports/2013/rwjf405304. Accessed December 3, 2015. Foglia MB, Fredriksen-Goldsen KI. Health disparities among LGBT older adults and the role of nonconscious bias. Hast Cent Rep. 2014;44(0 4):S40–4. doi: 10.1002/hast.369. Peek ME, Lopez FY, Williams HS, et al. Development of a conceptual framework for understanding shared decision-making among African-American LGBT patients and their clinicians. J Gen Intern Med. doi: 10.1007/s11606-016-3616-3. Wilson PA, Yoshikawa H. Improving access to health care among African-American, Asian and Pacific Islander, and Latino lesbian, gay, and bisexual populations. In The Health of Sexual Minorities. Meyer IH, Northridge ME, eds. United States: Springer; 2007:607–637. Available at: http://link.springer.com/chapter/10.1007/978-0-387-31334-4_25. Accessed December 3, 2015. Damschroder LJ, Aron DC, Keith RE, Kirsh SR, Alexander JA, Lowery JC. Fostering implementation of health services research findings into practice: a consolidated framework for advancing implementation science. Implement Sci. 2009;4:50. doi: 10.1186/1748-5908-4-50. Greenhalgh T, Robert G, Macfarlane F, Bate P, Kyriakidou O. Diffusion of innovations in service organizations: systematic review and recommendations. Milbank Q. 2004;82(4):581–629. doi: 10.1111/j.0887-378X.2004.00325.x. Gay and Lesbian Medical Association (GLMA). Guidelines for Care of Lesbian, Gay, Bisexual, and Transgender Patients. 2006:1–60. Available at: http://glma.org/_data/n_0001/resources/live/GLMA%20guidelines%202006%20FINAL.pdf. Accessed December 3, 2015. King M, Semlyen J, See Tai S, et al. A systematic review of mental disorder, suicide, and deliberate self harm in lesbian, gay and bisexual people. BMC Psychiatr. 2008;8:70. doi: 10.1186/1471-244X-8-70. Centers for Disease Control and Prevention. Recommendations for HIV prevention with adults and adolescents with HIV in the United States, 2014: Summary for clinical providers. Dec 2014. Available at: http://stacks.cdc.gov/view/cdc/26063. Accessed December 3, 2015. The GenIUSS Group. Best practices for asking questions to identify transgender and other gender minority respondents on population-based surveys. J.L. Herman (Ed.). Los Angeles, CA: The Williams Institute. Available at: http://www.lgbtagingcenter.org/resources/pdfs/geniuss-report-sep-2014.pdf. Accessed December 3, 2015. Bradford JB, Cahill S, Grasso C, Makadon HJ. Fenway Institute Policy focus: How to gather data on sexual orientation and gender identity in clinical settings. Available at: http://thefenwayinstitute.org/documents/Policy_Brief_HowtoGather..._v3_01.09.12.pdf. Accessed December 3, 2015. Institute of Medicine (2012). Collecting sexual orientation and gender identity data in electronic health records: workshop summary. Washington, DC: The National Academies Press. Available at: http://www.nap.edu/catalog/18260/collecting-sexual-orientation-and-gender-identity-data-in-electronic-health-records. Accessed December 3, 2015. Makadon H. Guest blog: optimizing use of sexual orientation and gender identity information in the EMR. Healthcare Informatics. 2014. Available at: http://www.healthcare-informatics.com/article/guest-blog-optimizing-use-sexual-orientation-and-gender-identity-information-emr. Accessed December 3, 2015. Healthcare Equality Index 2014: Promoting equitable and inclusive care for lesbian, gay, bisexual and transgender patients and their families. Human Rights Campaign Foundation. Available at: http://www.hrc.org/campaigns/healthcare-equality-index. Accessed December 3, 2015. Brach C, Fraser I. Can cultural competency reduce racial and ethnic health disparities? A review and conceptual model. Med Care Res Rev. 2000;57(Suppl 1):181–217. doi: 10.1177/1077558700574009. Silow-Carroll S, Alteras T, Stepnick L. Patient-Centered Care for Underserved Populations: Definition and Best Practices. The W.K. Kellogg Foundation; 2006:1–43. Available at: http://www.issuelab.org/resource/patientcentered_care_for_underserved_populations_definition_and_best_practices. Accessed December 3, 2015. Institute for Patient- and Family-Centered Care. Patient and Family Resource Centers. Available at: http://www.ipfcc.org/advance/topics/pafam-resource.html. Accessed December 3, 2015. Agency for Healthcare Research and Quality. Research protocol: improving cultural competence to reduce health disparities for priority populations. Jul 2014. Available at: http://www.effectivehealthcare.ahrq.gov/search-for-guides-reviews-and-reports/?pageaction=displayproduct&productid=1934. Accessed December 3, 2015. Dean L, Meyer IH, Robinson K, et al. Lesbian, gay, bisexual, and transgender health: findings and concerns. Journal of the Gay and Lesbian Medical Association, Vol. 4, No. 3, 2000. Available at: http://www.felgtb.org/rs/334/d112d6ad-54ec-438b-9358-4483f9e98868/91f/filename/2000-dean-l-lgbt-health-findings-and-concerns.pdf. Accessed December 3, 2015. Agency for Healthcare Research and Quality. About TeamSTEPPS. TeamSTEPPS: National Implementation. Available at: http://teamstepps.ahrq.gov/about-2cl_3.htm. Accessed December 3, 2015. Agency for Healthcare Research and Quality. Comprehensive unit-based safety program (CUSP). Available at: http://www.ahrq.gov/professionals/quality-patient-safety/cusp/index.html. Accessed December 3, 2015. Finkelstein J, Knight A, Mrinopoulos S, et al. Enabling patient-centered care through health information technology. Evidence Report/Technology Assessment No. 206. Johns Hopkins University Evidence-based Practice Center; Jun 2012;206. Contract No. 290- 2007-10061-I. Rockville MD: Agency for Healthcare Research and Quality. Available at: http://effectivehealthcare.ahrq.gov/ehc/products/451/1157/EvidenceReport206_Patient-Centered-Care-Health-IT_FinalReport_20120816.pdf. Accessed December 3, 2015. Centers for Medicare & Medicaid Services. Patient electronic access tipsheet. Aug 2014. Available at: https://www.cms.gov/Regulations-and-Guidance/Legislation/EHRIncentivePrograms/Downloads/PatientElecAccTipsheet_06182014-.pdf. Accessed December 3, 2015. Community Marketing & Insights. CMI’s 8th Annual LGBT Community Survey. Community Marketing, Inc.; 2014:1–65. Available at: http://www.communitymarketinginc.com/documents/CMI_8thAnnualLGBTCommunitySurvey2014_USReport.pdf. Accessed December 3, 2015. Zickuhr K, Smith A. Digital differences. Pew Research Center’s Internet & American Life Project; 2012:1–21. Available at: http://www.pewinternet.org/2012/04/13/digital-differences/. Accessed December 3, 2015. Stablein T, Hall JL, Nissenbaum H, Anthony D. Gay Males and Electronic Health Records: Privacy Perceptions, Age and Negotiating Stigma. Annual meeting of the American Sociological Association, Denver, CO. 2012. Available at: http://sharps.org/wp-content/uploads/STABLEIN-ESS-Annual-Meeting.pdf. Accessed December 3, 2015. Midboe AM, Lewis ET, Cronkite RC, et al. Behavioral medicine perspectives on the design of health information technology to improve decision-making, guideline adherence, and care coordination in chronic pain management. Transl Behav Med. 2011;1(1):35–44. doi: 10.1007/s13142-011-0022-6. Mann DM, Lin JJ. Increasing efficacy of primary care-based counseling for diabetes prevention: Rationale and design of the ADAPT (Avoiding Diabetes Thru Action Plan Targeting) trial. Implement Sci. 2012;7:6. doi: 10.1186/1748-5908-7-6. Phansalkar S, Edworthy J, Hellier E, et al. A review of human factors principles for the design and implementation of medication safety alerts in clinical information systems. J Am Med Inform Assoc. 2010;17:493e501. doi: 10.1136/jamia.2010.005264. Burkhard C, Doster K, McIntyre H. Shared Decision Making in Health Care Delivery: Background Information and Policy Options for New Hampshire. The Nelson A. Rockefeller Center; 2011:1–21. http://rockefeller.dartmouth.edu/sites/rockefeller.drupalmulti-prod.dartmouth.edu/files/prs_brief_1011-08.pdf. Accessed December 3, 2015.
Cooper LA, Powe NR. Disparities in patient experiences, health care processes, and outcomes: the role of patient-provider racial, ethnic, and language concordance. The Commonwealth Fund; July 2004. Available at: http://www.commonwealthfund.org/~/media/files/publications/fund-report/2004/jul/disparities-in-patient-experiences--health-care-processes--and-outcomes--the-role-of-patient-provide/cooper_disparities_in_patient_experiences_753-pdf.pdf. Accessed December 3, 2015. North Dakota State University. Safe zone ally training. 2010. Available at: http://www.fs.fed.us/cr/Safe_Zone_Training_PacketUpdated.pdf. Accessed December 3, 2015. Bewley MT. The safe zone symbol: Its impact on attitudes about seeking mental health services. 2012. Available at: https://repositories.tdl.org/ttu-ir/bitstream/handle/2346/45198/BEWLEY-DISSERTATION.pdf?sequence=2&isAllowed=y.Accessed December 3, 2015. Ulrich R, Quan X, Zimring C, Joseph A, Choudhary R. Role of the physical environment in the hospital of the 21st century: A once-in-a-lifetime opportunity. The Center for Health Design; Sep 2004. Available at: https://www.healthdesign.org/sites/default/files/Role%20Physical%20Environ%20in%20the%2021st%20Century%20Hospital_0.pdf. Accessed December 3, 2015. Unruh KT, Skeels M, Civan-Hartzler A, Pratt W. Transforming clinic environments into information workspaces for patients. CHI Conf Proc. 2010:183–192. doi: 10.1145/1753326.1753354. Nathan AG, Marshall IM, Cooper JM, Huang ES. Use of decision aids with minority patients: a systematic review. J Gen Intern Med. doi: 10.1007/s11606-016-3609-2. Mincer S, Adeogba S, Bransford R, et al. Shared decision-making (SDM) toolkit: Train-the-trainer tools for teaching SDM in the classroom and clinic. MedEdPORTAL Publications; 2013. Available at: https://www.mededportal.org/publication/9413. Accessed December 3, 2015. Healthwise shared decision making skills course. Available at: http://www.healthwise.org/products/sdmskillscourse.aspx. Accessed December 3, 2015. Agency for Healthcare Research and Quality. The SHARE approach. Available at: http://www.ahrq.gov/professionals/education/curriculum-tools/shareddecisionmaking/. Accessed December 3, 2015. National Standards for Culturally and Linguistically Appropriate Services in Health and Health Care. Available at: https://www.thinkculturalhealth.hhs.gov/content/clas.asp. Accessed December 3, 2015. Culture, language & health literacy resources: Gender. Health Resources and Services Administration, US Department of Health and Human Services. Available at: http://www.hrsa.gov/culturalcompetence/gender.html. Accessed December 3, 2015. Culture, language & health literacy resources: Race/ethnicity. Health Resources and Services Administration, US Department of Health and Human Services. Available at: http://www.hrsa.gov/culturalcompetence/race.html. Accessed December 3, 2015. Durand MA, Barr PJ, Walsh T, Elwyn G. Incentivizing shared decision making in the USA – where are we now? Healthcare. Available online 21 November 2014. doi: 10.1016/j.hjdsi.2014.10.008. Centers for Medicare & Medicaid Services. Health Care Innovation Awards. Available at: http://innovation.cms.gov/initiatives/Health-Care-Innovation-Awards. Accessed December 3, 2015. NQF measure 0005: CAHPS Clinician & Group Surveys (CG-CAHPS)-Adult, Child. Available at: http://www.qualityforum.org/ProjectMeasures.aspx?projectID=73867. Accessed December 3, 2015.